Barcelona Soccer Excellence is an innovative, year-round program with a focus on developing young players on and off the field through best-in class coaching and our age -appropriate UEFA Pro Level curriculum. In addition we provide an exceptional experience, ongoing care and commitment to our players. 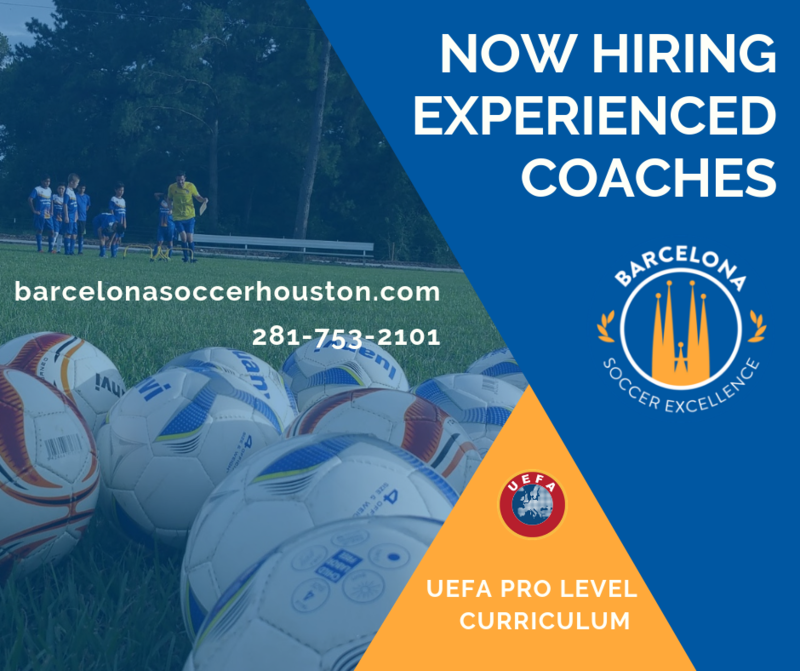 Barcelona Soccer Excellence is Tomball is growing and we are in need of experienced coaches. We provide top level ongoing training and development, soccer equipment, uniforms and all UEFA Pro curriculum materials. We offer rewarding work in a great environment and competitive compensation plus other great perks.